The early people living in Fujian province were Neolithic and Tanshishan peoples. Ethnic groups, such as Min, She (Ho Ne, Huonie, Miao, Hmong), Hui, Han, Man, Putian, Ding, Guo, Dan, Yue, and Hakka, have also lived in Fujian. The Min were the main ethnic group prior to the Qin (221 – 207 BCE) dynasty. During the Warring States Period (476 – 221 BCE), the Yue clan, living in the area of Jiangsu and Zhejiang provinces was defeated by the Chu clan. The Yue clan moved south into the area of Fujian. During the unification of China by the Qin dynasty emperor, Qin Shihuangdi, Fujian became a region of the Chinese empire. 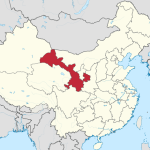 Fujian became a Chinese province in the seventh century CE. Fujian (Fukien) Province was a trading center for ancient China. Long before Britain, Holland, and Portugal brought opium and sailed away with tea and silk, Fujian was a port city trading with Arabs and Persians during the Tang (618 – 907 CE) and Southern Song (1127 – 1279 CE) dynasties. These early travelers brought Islam to China and their mosques are still found in Fujian. During the Ming (1368 – 1644 CE) and Qing (1644 – 1911 CE) dynasties, ships sailed to other countries from Fujian Province with cargos of silk, sugar, tea, and paper. Fujian Province was also an important shipbuilding area. For part of the time during the Ming and Qing dynasties, trading was stopped and Fujian Province lost its name as a trading and shipping center. The island of Taiwan was a part of Fujian Province until 1886. 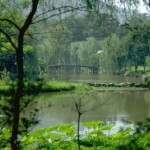 Fujian Province has many ancient cities. 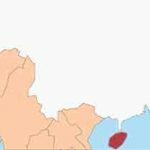 Six are described below: Fuzhou, Xiamen, Quanzhou, Sanming, Nanping, and Ningde. Fuzhou (Dongye, Rongcheng: Banyan City and Minzhou) is the capital and a port city of Fujian Province. During the third century BCE, Fozhou was known as Minzhou and was the capital of the kingdom of Minyue. It was known at that time as a place for producing liquid iron from iron-ore smelting. The name of the city was changed during the Tang (618 – 907 CE) dynasty. Banyan trees planted during the Northern Song (960 – 1127 CE) dynasty continue to grow in Fuzhou. Fuzhou is well known for its lacquer work and stone and cork sculptures. 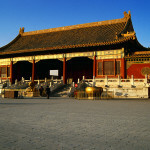 It has Earth Towers built by the Hakka people, caves with calligraphy carved on the walls, and many temples and pagodas. Xiamen (Tingzhou) is an island in the Taiwan Strait (also called Formosa Strait, T’ai-wan Hai-hsia, Taiwan Haixia). During the Ming (1368 – 1644 CE) dynasty, Xiamen was a major seaport and many foreign countries (Portugal, Holland, and Britain) had influence in trading and business activities during the eighteenth and nineteenth centuries. Homes built by nationals from these foreign countries and also people from France, Spain, Germany and Japan can be found on the island. Quanzhou (Zaitun, Licheng, and Citong Cheng) is known as the Maritime or Sea Silk Road because in ancient China this port was the starting place for shipping silk to other countries. Quanzhou was home to many Arab and Persians during the Tang and Northern Song (960 – 1126 CE) and Southern Song (1127 – 1279 CE ) dynasties. It has a colorful history in the ancient stone city of Chongwu and on Meizhou Island where the goddess of the sea and of peace, Mazu, continues to be worshipped. Mazu was a young woman, Lin Moniang, who helped the poor and fisherman during the Southern Song dynasty. Along with the worship of Mazu, there is also the worship of Manicheism, which began in Quanzhou during the Tang dyansty. Many Islamic mosques, such as Qingjing Mosque built in 1009 CE during the Northern Song dynasty and Buddhist temples are found in Quanzhou. Sanming is famous for Anzhen Fort, which was built during the latter part of the Qing (1644 – 1911 CE) dynasty starting in 1885 – 1899 CE. The fort is 10,000 square yards with walls 36 feet high and 12 feet thick. Elaborately carved wooden posts and arches and stone carvings are hidden inside the walls, which were built to keep enemies out from all directions. Government offices were started in Nanping during the Eastern Han (25 – 220 CE) dynasty. Nanping is famous for boat-shaped hanging coffins, which were used as a burial system by the Min people more than 2,000 years ago. The boat-shaped coffins were hung on cliffs in the Wuyi Mountains. During the Northern and Southern Song and the Qing dynasties, people living in the area carved more than 400 messages and writings on the mountain cliffs. Ningde was used as a government office in the Western Jin (265 – 316 CE) and the Eastern Jin (317 – 419 CE) dynasties. Thousands of sculptures and sutras have been uncovered in the Buddhist temple, Huayan (Huacang), which was built during the Northern and Southern Song dynasties. Sitting on the southeast coast of China, Fujian province faces Taiwan across the Taiwan Strait. The province has many mountains and caves, rivers, plains, and seaside areas. Fujian province is famous for its rice, tea, lacquerware, stone carvings, cork pictures, bead embroidery, and puppets.